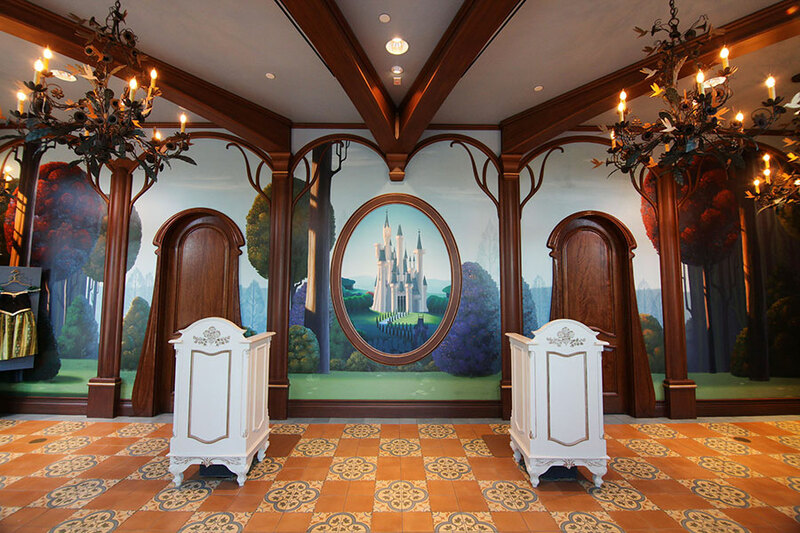 When planning your Walt Disney World Resort vacation, you’re probably focused on selecting your accommodations, adding your park tickets, and then determining which experiences you absolutely have to fit in during your visit. But one other important aspect of your vacation you’ll want to consider before arriving is how you’ll capture and preserve the memories you’ll make at Walt Disney World Resort. For many, Memory Maker is a great option. There are usually a lot of questions about Memory Maker and how it works so here are the top five things you’ll need to know about Memory Maker so you can decide if you need it during your Disney World vacation. How is Memory Maker related to Disney PhotoPass Service? Disney PhotoPass Service has photographers stationed throughout Walt Disney World Resort ready to get your entire family in the photo and cameras ready to capture your experience at select attractions. Memory Maker is a product offered by Disney PhotoPass Service. 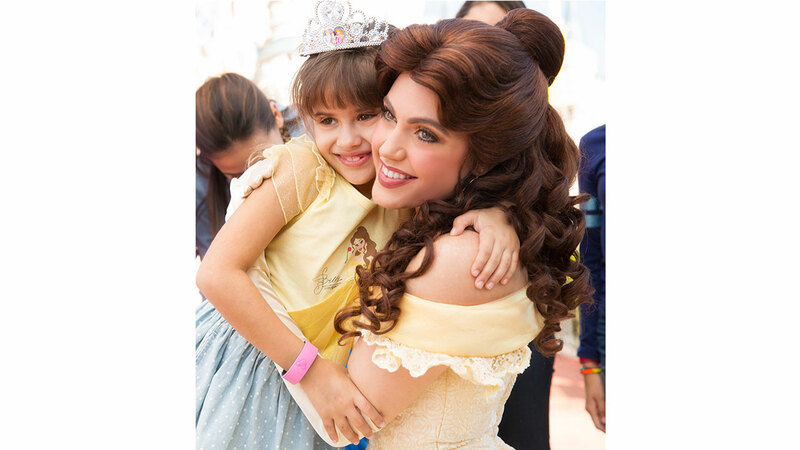 PhotoPass photos can be purchased individually, but when you purchase Memory Maker, you receive unlimited digital downloads of all your PhotoPass photos taken during your Memory Maker window for one price. So the more photos you take, the more value you receive! 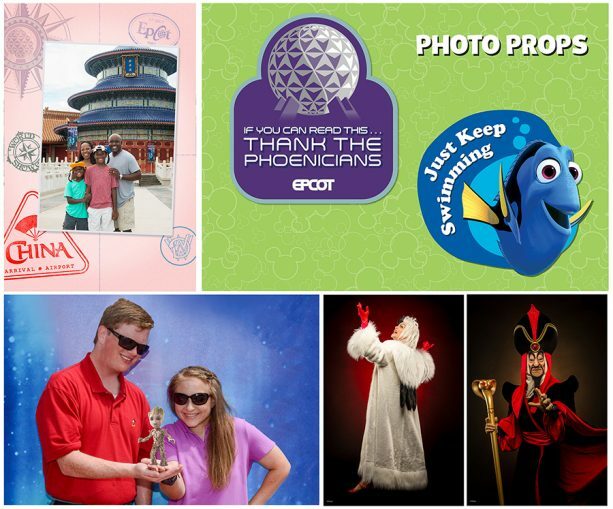 Which Disney PhotoPass photos are included with Memory Maker? Anywhere Disney PhotoPass captures your photo during your Memory Maker window, you’re entitled to download that image as part of your active Memory Maker entitlement. 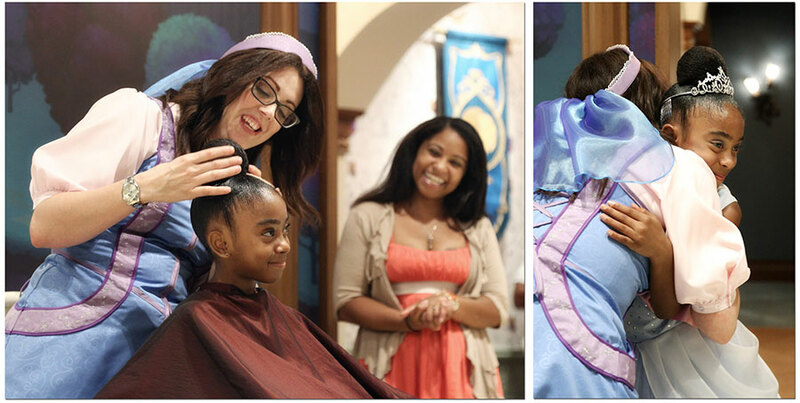 This includes PhotoPass photos taken at Bibbidi Bobbidi Boutique, Character Experiences, either Disney PhotoPass Studio, iconic locations such as in front of Cinderella Castle, Jedi Training: Trials of the Temple, Enchanted Tales with Belle, and all attraction and dining locations with PhotoPass capture. Magic Shots, which add Disney Characters and other fun surprises to your photos after they’re taken, are also included with Memory Maker! Does Memory Maker offer any exclusive photo opportunities? Can my Memory Maker entitlement include my travel party’s photos? Absolutely! If you’re linked to others in your party through My Disney Experience Family & Friends and they choose to share their photos taken during your Memory Maker window with you, you’ll have the ability to download them. So, if you’re traveling with friends and family, only one party needs to purchase Memory Maker and then you can all share it! When should I purchase Memory Maker? Memory Maker can be purchased before, during or after your Walt Disney World Resort vacation. But when you buy early, you save: When you purchase three or more days prior to the start of your vacation, the price is $169. If you purchase during or after your vacation, the price is $199. If you think Memory Maker is right for you, I would encourage you to purchase it prior to your vacation, as the less time you spend figuring out which photos you’re going to buy, the more time you have to make the memories, take another ride on Space Mountain, or enjoy a Dole Whip! Plus, that $30 discount leaves you a little extra spending money! Have other questions? Let me know in the comments, or give the Disney PhotoPass Guest Support Team a call at 407-560-4300! Memory Maker is subject to the applicable terms and policies available here. Includes photos taken during the applicable Memory Maker Window as defined in such terms (generally, photos taken (i) within one day for the One Day product or (ii) within 30 days from the date of first activation for standard Memory Maker). A MagicBand is required to receive certain attraction photos and other digital content. Online registration required. Disney PhotoPass Photos in your account will expire pursuant to the expiration policy available here. Downloads are restricted to personal use only. Not responsible for missing, lost or damaged photos. Subject to restrictions and change without notice. Valid theme park admission required for certain photo locations. This entry was posted in Disney, Disney World, Florida, Orlando, United States, Walt Disney World Resort and tagged Disney World, Memory Maker on April 1, 2019 by siera. Disney PhotoPass Day is returning to Walt Disney World Resort on August 19, 2018, and today we’re thrilled to share all of the photo opportunities you’ll find at Disney Springs and each of the four theme parks! We’ve got a lot to cover, so let’s jump right in! 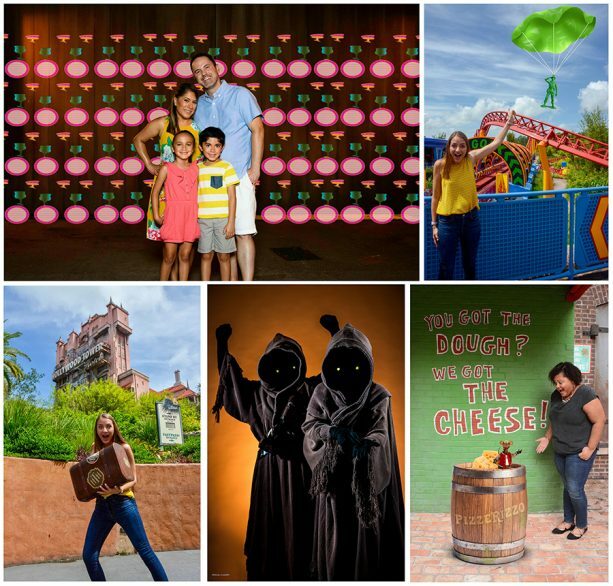 Below are all of the special photos you can take during the event on August 19 with Disney PhotoPass photographers. Both Disney Springs Magic Shots are available from 11 a.m. to 7 p.m. Virtual background at the Disney PhotoPass Studio is available from 9:30 a.m. to 10 p.m.
Meet Bolt: Discovery Island Trails from 10 a.m. to 5:30 p.m.
Meet Baloo and King Louie: Upcountry Landing in Asia from 10 a.m. to 5:30 p.m.
Huey, Dewey and Louie Magic Shot: DinoLand U.S.A.
*These additional photo opportunities at Disney’s Animal Kingdom are available from 10 a.m. to 6 p.m.
Meet Jawas: Star Wars Launch Bay Cantina from 9 a.m. to 5 p.m.
*These additional photo opportunities at Disney’s Hollywood Studios are available from 9 a.m. to 7 p.m., unless otherwise noted. Meet Cruella de Vil: United Kingdom Pavilion from 9 a.m. to 8:30 p.m.
Meet Jafar: Morocco Pavilion from 11:30 a.m. to 8:30 p.m.
*These additional photo opportunities at Epcot are available from 10 a.m. to 6 p.m., unless otherwise noted. 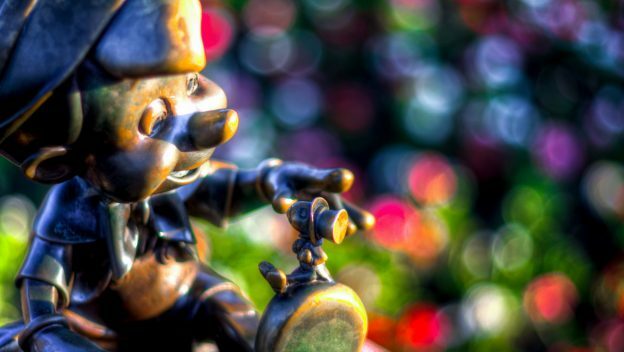 Meet Pinocchio and Geppetto: near Pinocchio Village Haus from 10 a.m. to 5:30 p.m.
*These additional photo opportunities at Magic Kingdom Park are available from 9 a.m. to 8 p.m., unless otherwise noted. Whether you’re celebrating with us August 19 at Walt Disney World or Disneyland Resort, smile big and be sure to share your photos using #DisneyPhotoPassDay! Parks, attractions, entertainment or character experiences may change operating hours; close due to refurbishing, capacity, weather, special events, character availability or other reasons; and otherwise change or be discontinued without notice and without liability to the owners of the Walt Disney World Resort. Disney PhotoPass Service at Walt Disney World Resort is subject to the PhotoPass terms and expiration policy found at https://mydisneyphotopass.disney.go.com/help-and-support/policies. Online registration required. Downloads are restricted to personal use by Disney account holder only and may not be used for a commercial purpose. Not responsible for missing, lost or damaged photos. Subject to restrictions and change without notice. Separate theme park admission required for certain photo locations. *Memory Maker is subject to the applicable terms and policies available here. Includes photos taken during the applicable Memory Maker Window as defined in such terms (generally, photos taken (i) within one day for the One Day product or (ii) within 30 days from the date of first activation for standard Memory Maker). A MagicBand is required to receive certain attraction photos and other digital content. 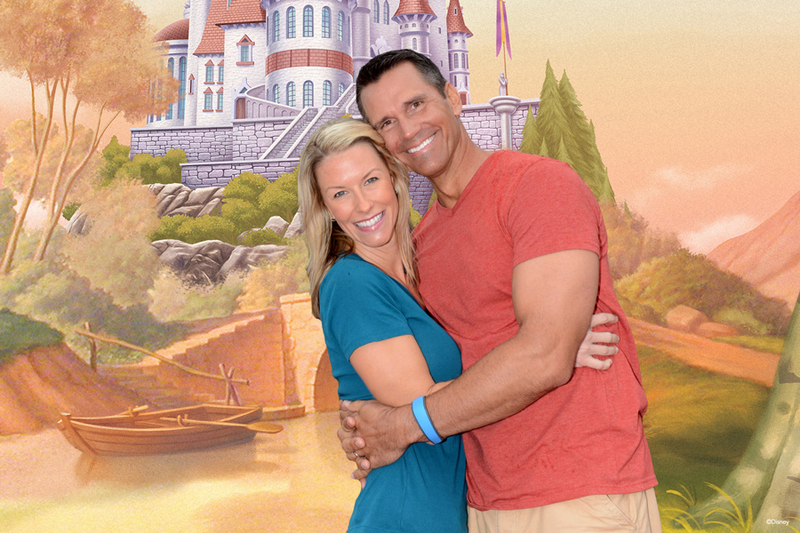 Disney PhotoPass Photos in your account will expire pursuant to the expiration policy available here. **Not available for online or in-app purchases. Cannot be combined with any other promotion and discount. No adjustments to prior purchases. This entry was posted in Disney, Disney World, Florida, Orlando, United States, Walt Disney World Resort and tagged Memory Maker, PhotoPass, PhotoPass Day on August 13, 2018 by siera. The Disney PhotoPass Studio located in the Disney Springs Marketplace is a favorite among princesses and knights who have visited Bibbidi Bobbidi Boutique, but you don’t have to be on your way to the ball to have your photo taken here! You can take a classic – or goofy – family or individual portrait on one of our standard backdrops. 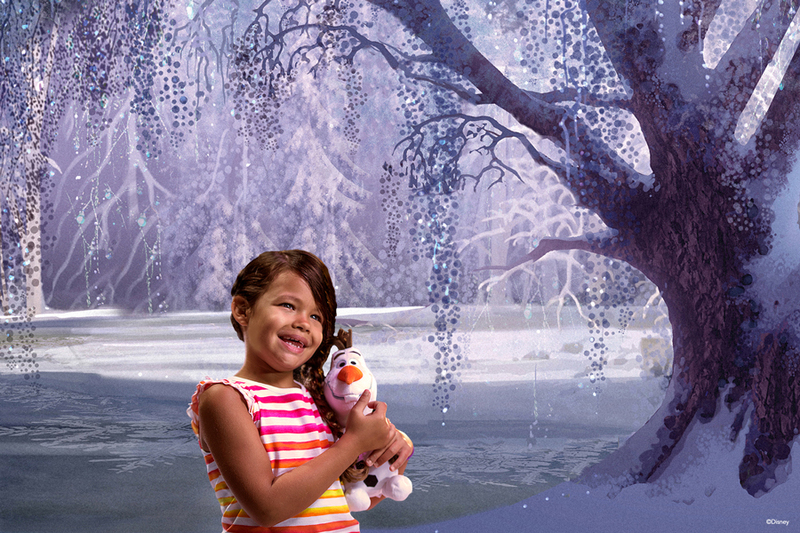 If you’re looking for a slightly more specialized photo experience, this studio also offers those of all ages the opportunity to pose in front of virtual backdrops using a green-screen technique. Here are just a few of the numerous virtual backdrop themes currently available: “Aladdin;” “Beauty and the Beast;” “Brave;” “Cars;” “Cinderella;” “Elena of Avalor;” “Inside Out;” “Jake and the Never Land Pirates;” “The Lion Guard;” “The Little Mermaid;” “Mickey and the Roadster Racers;” “Moana;” “Monsters, Inc.;” “Mulan;” “Peter Pan;” “Pirates of the Caribbean;” “The Princess and the Frog;” “Sleeping Beauty;” “Snow White;” Star Wars; “Tangled;” “Toy Story” and more! 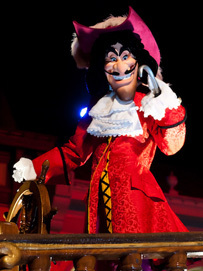 So smile and say cheese, arrr, Agrabah, McQueen or Mickey – the choices are endless! Your photographer will make sure you have the best backdrop for your photo. These photos can be linked to your My Disney Experience account and downloaded as part of an active Memory Maker entitlement or purchased individually. 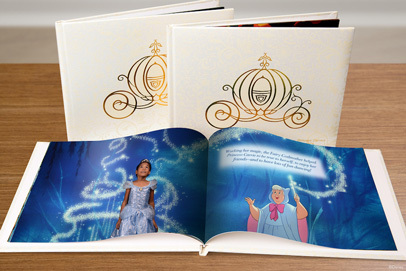 If you’re looking for an even more customized offering that allows your little princess to step right into a classic Disney story, be sure to ask a photographer at the studio about a Personalized Storybook! No reservations are needed to visit the studio, so stop by for your photo shoot whenever it fits into your day at Disney Springs! 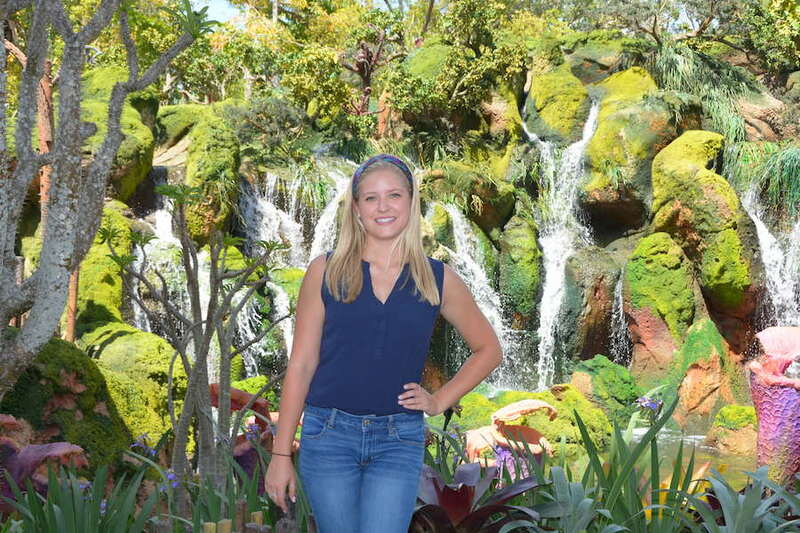 Siera is a travel agent with Destinations in Florida, an Authorized Disney Vacation Planner. She would love to help you plan your next vacation at no cost to you. Contact Siera today at siera@destinationsinflorida.com or at 734-771-1290 for more information or your free, no obligation quote. This entry was posted in Disney, Disney World, Florida, Orlando, United States, Walt Disney World Resort and tagged Disney PhotoPass, Disney PhotoPass Studio, Disney Springs, Disney World, Memory Maker on December 18, 2017 by siera. 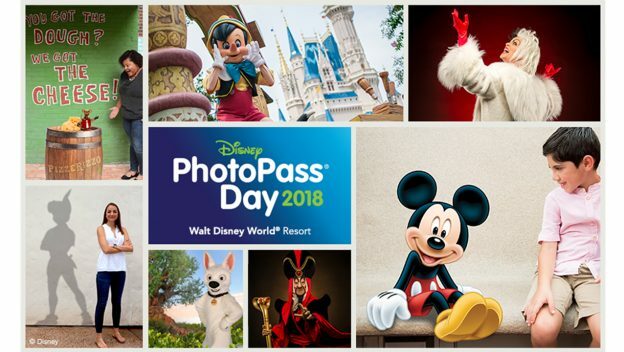 August 19 marks World Photo Day, and we’re excited to celebrate the occasion with the return of Disney PhotoPass Day 2017 at Walt Disney World Resort! During this event, Disney PhotoPass Service will offer a number of exclusive photo opportunities that will let you take home even more picture-perfect memories of your visit. 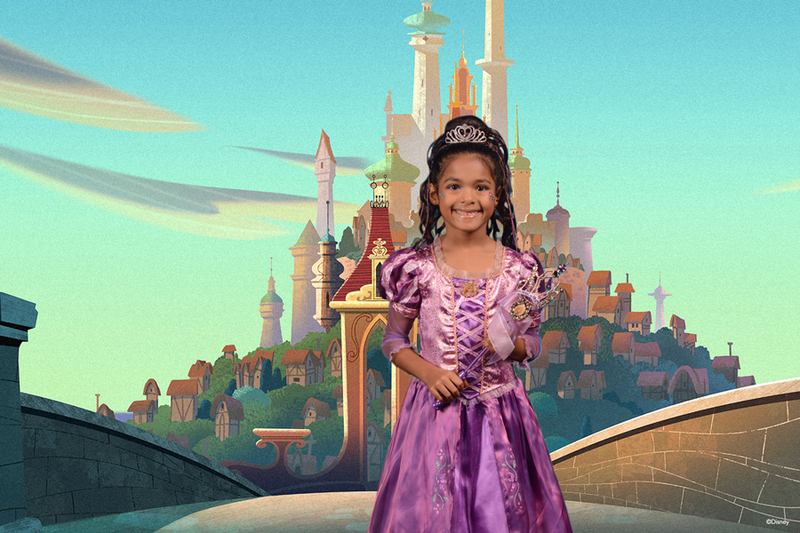 You can also celebrate Disney Princesses during Disney PhotoPass Day! In honor of Disney’s “Dream Big, Princess” campaign, you’ll find photo opportunities focused on some of your favorite Disney Princesses. Entertainment and photo opportunities are subject to change. Some locations could be affected by inclement weather. 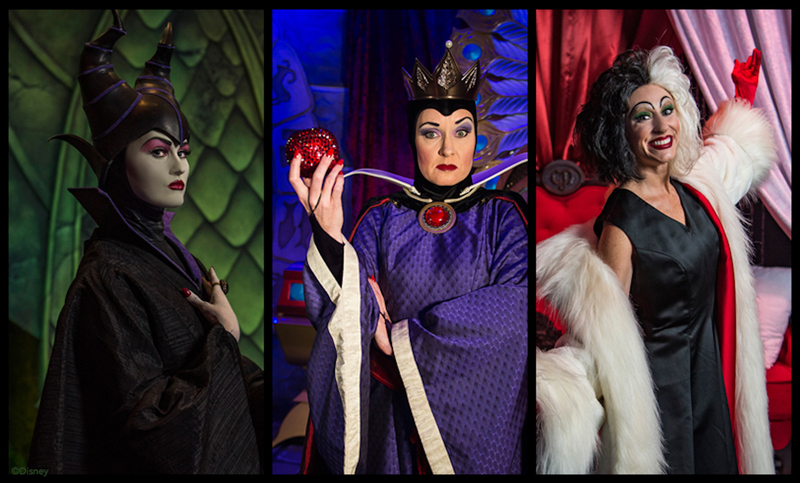 The Queen from “Snow White and the Seven Dwarfs,” Maleficent, and Cruella de Vil will meet with guests at Sunset Showcase. This opportunity will be available from 10 a.m. – 5 p.m.
You can also visit the Disney PhotoPass Studio at Disney Springs to enjoy special $99.95 plus shipping pricing on a Personalized Storybook now through August 20! 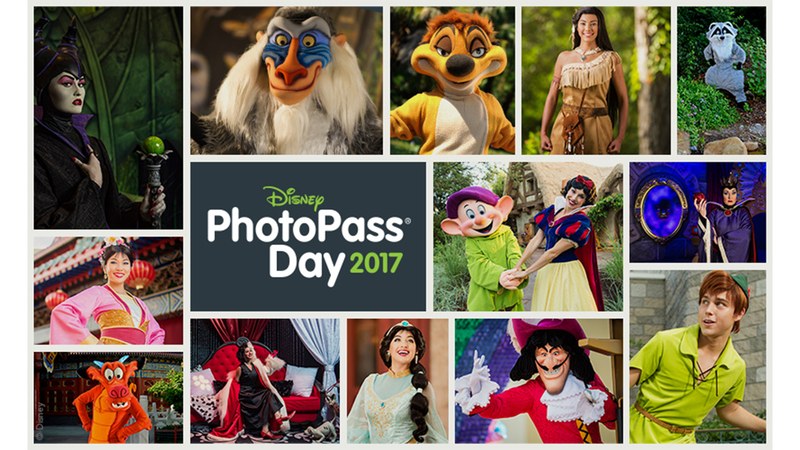 Don’t forget to share your photos from Disney PhotoPass Day 2017 on social media using #DisneyPhotoPassDay and #DreamBigPrincess, and if you want access to all of your PhotoPass photos from Disney PhotoPass Day 2017, purchase Memory Maker One Day for $59 in the My Disney Experience mobile app during or after your visit! This entry was posted in Disney, Disney World, Florida, Orlando, United States, Walt Disney World Resort and tagged Disney PhotoPass, Memory Maker, PhotoPass, PhotoPass Day on August 15, 2017 by siera. 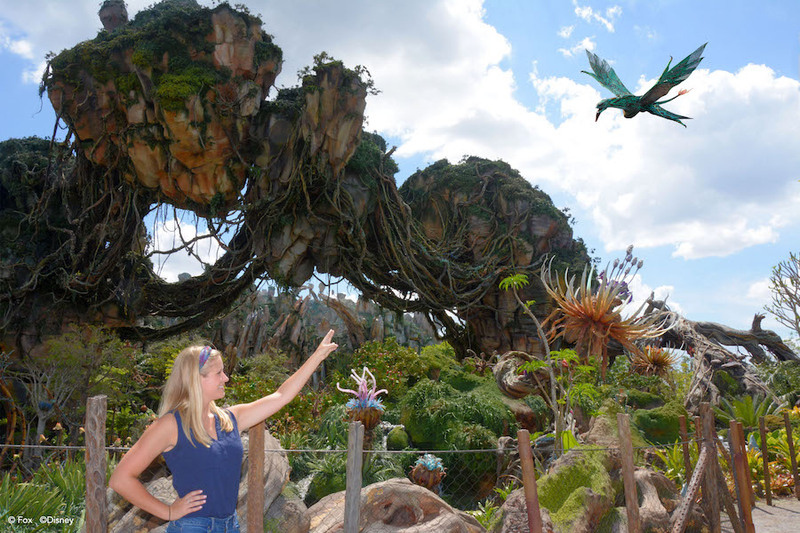 Expeditions to Pandora – The World of Avatar have begun at Disney’s Animal Kingdom! When you’re not trekking among mountains, drifting down a Pandoran River deep into the bioluminescent rainforest, or soaring on the back of a mountain banshee, you’ll find the striking beauty of Pandora offers many locations to take photos of your interplanetary travel. 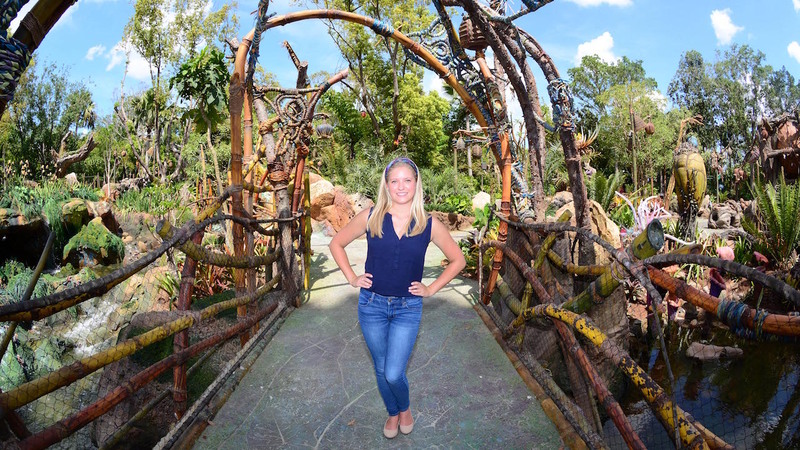 Disney PhotoPass Service photographers are placed in the best locations in Pandora – The World of Avatar to capture your entire group’s adventure into this exotic world. There are some incredible photo opportunities and magic shots in Pandora – The World of Avatar that you won’t want to miss on your visit! Disney PhotoPass photographers are also able to capture a number of Magic Shots and Animated Magic Shots in Pandora featuring some of your favorite Pandoran inhabitants. Check them out below! 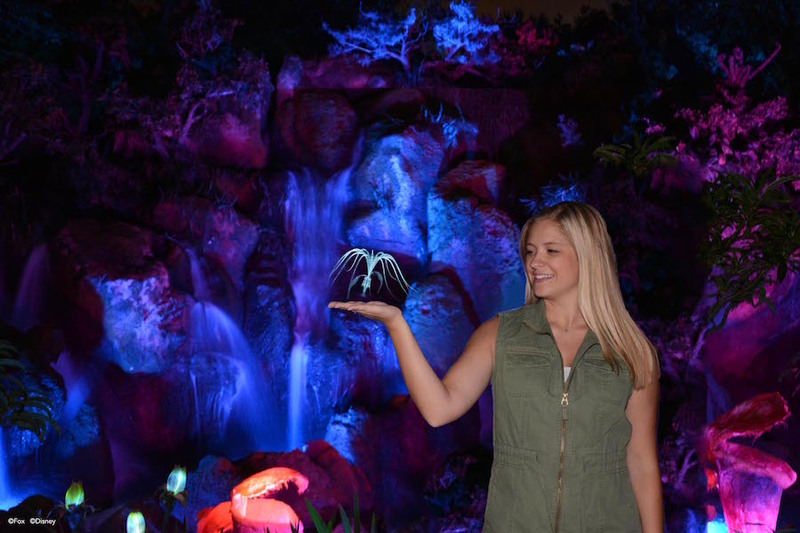 When you visit a PhotoPass photographer in front of the floating mountains during daylight hours, you’ll have the opportunity to include a banshee in your photo. Remember, Animated Magic Shots can only be downloaded as part of an active Memory Maker entitlement, which allows you to take home all of your Disney PhotoPass photos and videos from your Walt Disney World Resort vacation for one price. 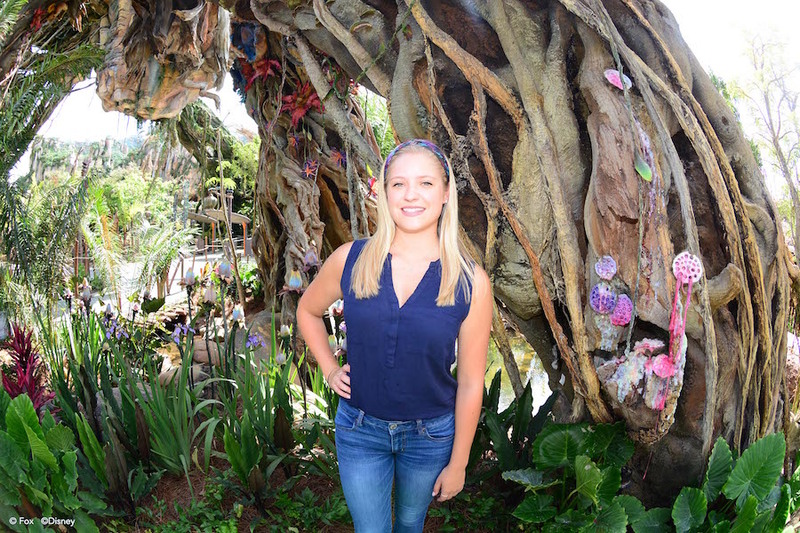 This entry was posted in Disney, Disney World, Florida, Orlando, United States, Walt Disney World Resort and tagged Animal Kingdom, Disney World, Memory Maker, Pandora, PhotoPass, World of Avatar on July 24, 2017 by siera. New! Limited-time Character Experience for Memory Maker Guests: In addition to receiving all your Disney PhotoPass vacation photos with Memory Maker, from August 7 through August 31, your Memory Maker purchase will also include access to a private Disney Character Experience with a Disney Princess located at Magic Kingdom Park – Heritage House. Only one person in your party needs to have purchased Memory Maker in order for your group to enjoy this Character Experience. This limited-time opportunity will be available for Memory Maker guests and their parties from 11 a.m. – 5:40 p.m., August 7 to 31. New! Build Your Own Lightsaber at Mouse Gear: Guests can now build their own Lightsaber at Mouse Gear at Epcot. This experience is just like those available at Disney’s Hollywood Studios and Magic Kingdom. New! Enter for a Chance to Win a Trip to the Epcot International Food & Wine Festival from ABC’s The Chew: ABC’s Emmy Award-winning show “The Chew” is giving a lucky winner the chance to join them when it returns to the Epcot International Food & Wine Festival this fall. The Chew’s Magical Culinary Adventure Sweepstakes will send one winner and their three guests to stay in the middle of the magic at Walt Disney World Resort between October 5-9, 2016, and experience the 21st annual appetizing event. The winner and their guests will get to attend a live taping of the ABC lifestyle show, sip and savor food and drink from more than 30 global marketplaces, including one inspired by the show: The Chew Collective in the Next Eats area of Future World. To enter, visit https://magicalculinaryadventure.com. You have until 11:59 p.m. on September 2 to enter. New! Celebrate Pete’s Dragon at Rafiki’s Planet Watch: Guests at Rafiki’s Planet Watch can stop by the “Pete’s Dragon” activity table in front of Conservation Station this week to learn more about national parks and pick up a “Pete’s Dragon” activity guide developed by Disney’s Animals, Science and Environment and a movie button. Guests can participate in a puzzle game about the national parks in each of the 50 states. “Pete’s Dragon” debuts in theaters Aug. 12, and is set in a national park in the Pacific Northwest. New! 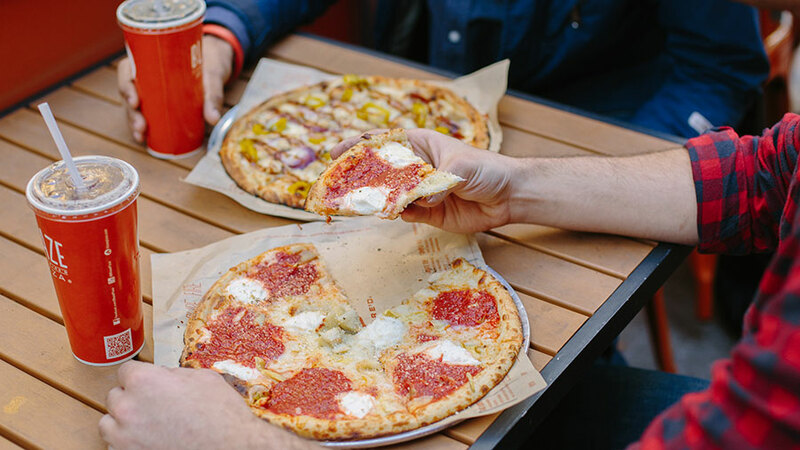 Blaze Fast-Fire’d Pizza Now Open: Blaze Fast-Fire’d Pizza, the newest fast-casual restaurant in Town Center at Disney Springs, is now open! It features scratch-made dough and artisanal toppings – and two blazing hot ovens that turn out thin-crisp pies in 180 seconds. The menu centers around custom-built pizzas (you pick the toppings) all for one price, with an interactive assembly line that lets you customize a pizza (or pick one of their Signature Pizzas). 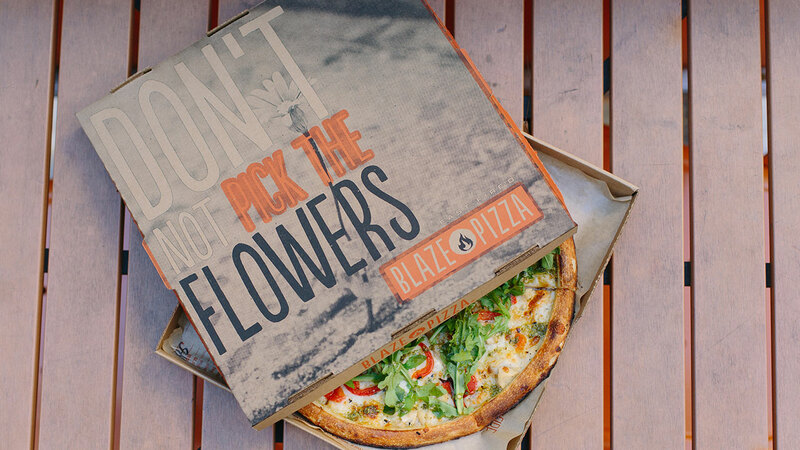 The 11-inch pizzas go into the blazing hot, open-flame oven and emerge with a light-as-air, crisp crust. Beverages include lemonades, aguas frescas, real cane sugar sodas plus beer and wine. The spacious, 5,000-square-foot eatery features two open hearth ovens and seating for 200 (and accepts the Disney Dining Plan). Gluten-free dough and vegan cheese are also offered. New! Origins Now Open at Disney Springs: Origins, a high-performance skincare retailer, is now open in Town Center at Disney Springs. Featuring products formulated with certified organic ingredients and 100 percent natural essential oils, Origins offers products for bath and body, hair, makeup and more. Origins is a socially-conscious brand that employs earth-friendly practices. The new Origins store is located near MAC Cosmetics. New! Limited Time Offer at Bibbidi Bobbidi Boutique: As part of the Grand Opening Celebration this summer, Disney Springs is introducing a limited time offer at Bibbidi Bobbidi Boutique in the Marketplace. Beginning Aug. 7, Annual Passholders, Disney Vacation Club Members, Disney Visa Card members, and Walt Disney World Resort Guests will receive a 10% discount at Bibbidi Bobbidi Boutique for guests age 3-12. This discount is available only at the Disney Springs location and applies to all reservations through Sept. 5. Reminder! 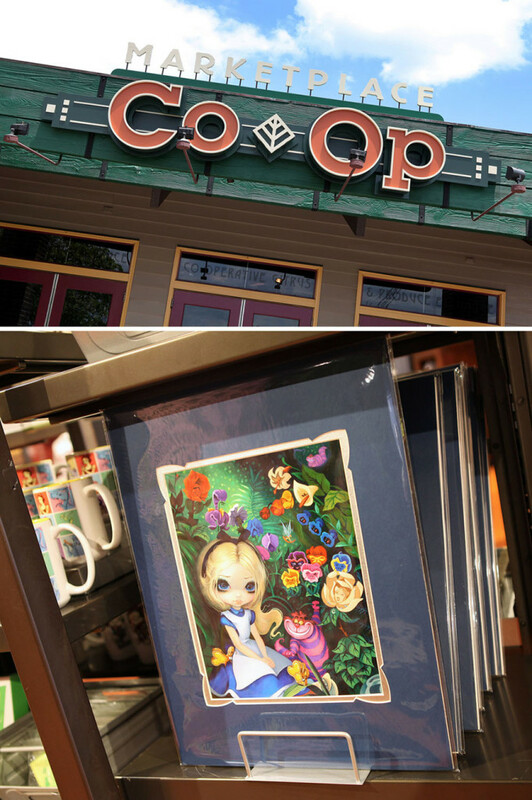 Art in August at Disney Springs: “Art in August” kicked off Thursday, August 4, 2016, at Disney Springs Marketplace. With tents set up throughout the promenade, guests can expect to find Disney artists, handmade treasures including jewelry and stationery, and unique keepsakes. “Art in August” is a vibrant, open-air art stroll that celebrates the diversity of art, featuring a little something for everyone. In addition, Guests may participate in interactive demonstrations on the promenade such as chalk drawing and meet the artists behind the Disney magic. “Art in August” is another way Guests can enjoy Disney Springs Grand Opening Summer Celebration – an event that combines new venues, added entertainment and special retail promotions, all happening through Labor Day. New! Tables in Wonderland Accepted at New Locations: Four new food & beverage locations have been added to the Tables in Wonderland program! Effective immediately, Tables in Wonderland members will receive the 20 percent discount at the following: Jungle Skipper at Magic Kingdom Park, Tiffins Restaurant at Disney’s Animal Kingdom Theme Park, Nomad Lounge at Disney’s Animal Kingdom Theme Park, and Jock Lindsay’s Hangar Bar at Disney Springs. Reminder! 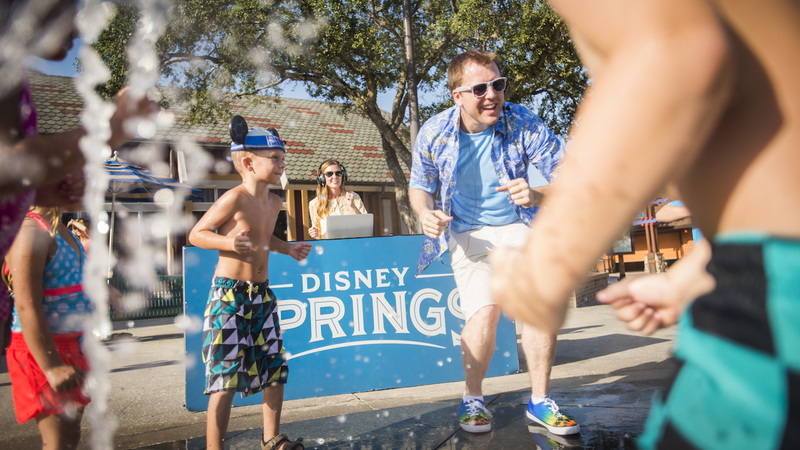 The Beat the Heat DJ Party Continues to Make a Splash at Disney Springs: The “Beat the Heat DJ Party” offers visitors the chance to chill out and cool down. With a lively DJ, always-on fountains, and a playful combo of bubbles, hula hoops and beach balls, the party is a huge hit with guests of all ages. 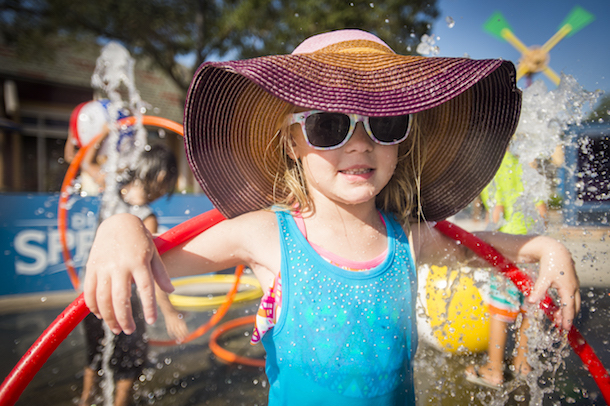 During this daily extravaganza, kids and adults are encouraged to dance, splash and simply take a break. Here, bathing suits are encouraged, but not required, and sunglasses and sunscreen are always in style! If you haven’t had a chance to enjoy the Beat the Heat DJ Dance Party yet, don’t fret; it happens daily from 1 p.m. – 5 p.m. and continues through September 5th. 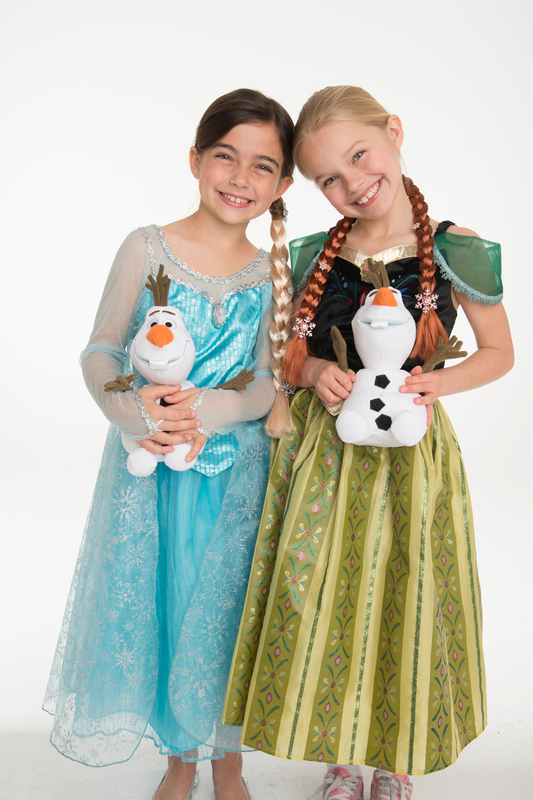 August 4-28 – Two new Precious Moments dolls will be released in August at Marketplace Fun Finds in Disney Springs Marketplace. The dolls were inspired by Mickey Mouse and Minnie Mouse. Guests can meet Precious Moments doll designer Linda Rick on August 12-13 at the location. 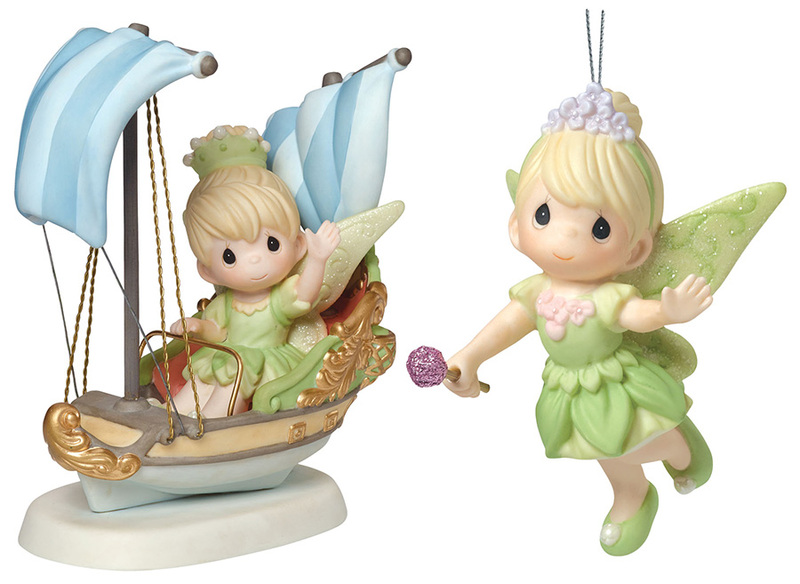 August 20 – We are releasing a figurine and ornament from the Disney Showcase Collection by Precious Moments at The Art of Disney. These items will only be released in select locations at Disney Parks. The ornament is titled “Faith, Trust And Pixie Dust,” and the figurine is titled “Imagination Has No Age.” Guests can meet Precious Moments Master Sculptor Hiko Maeda from noon to 2:00 p.m. and from 5:00 to 7:00 p.m.
August 20 – Artist Jasmine Becket-Griffith returns to WonderGround Gallery inside the Marketplace Co-Op from 4:00 to 8:00 p.m.
August 12-14 & 26-29 – 12-7pm – Guests can check out the latest Yardley fragrance and beauty products and meet representatives from noon to 7:00 p.m., each day at The Queen’s Table. We will be offering bottle painting and personalization on August 13-14, 27-28. August 17-20 – Meet Fragrance designer Geir Ness from noon to 6:00 p.m. in The Puffin’s Roost at Norway Pavilion in World Showcase. Geir will showcase the latest items from his Laila fragrance and beauty collection. August 19 – Precious Moments Master Sculptor Hiko Maeda will meet guests at The Art of Disney in Future World from 4:00 to 6:00 p.m. This entry was posted in Disney, Disney World, Florida, Orlando, United States, Walt Disney World Resort and tagged Around the Mouse, Disney World, Disney World news, Memory Maker on August 15, 2016 by siera. Disney has introduced a new one day Memory Maker, exclusively for Mickey’s Not So Scary Halloween Party. You can purchase the one day Memory Maker for just $39 which will allow you to capture all of your photos from the party, including those beloved magic shots, and then download all of them afterwards! Disney is using Mickey’s Not So Scary Halloween Party as the perfect opportunity to test the one day Memory Maker. Memory Maker is normally available for $149 (when purchased in advance) and includes digital downloads of all of the photos throughout your vacation. Mickey’s Not So Scary Halloween Party is the perfect time to use Memory Maker to capture your family’s photos with everyone dressed up in costumes and enjoying the special events and activities of the party. Did you know that you can get a picture with all Seven Dwarfs during the party? 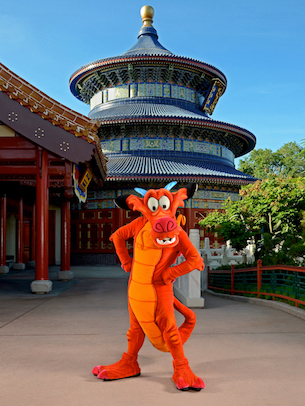 Many of your favorite Disney characters are there in their favorite Halloween costumes, too! Mickey’s Not So Scary Halloween Party is also a great time to ride your favorite attractions with short wait times. The one day Memory Maker includes select attraction photos, too! You can purchase the one day Memory Maker through October 31 at any ticket booth at the Transportation and Ticket Center. The one day Memory Maker can be added directly to your Mickey’s Not So Scary Halloween Party ticket. Plus, the one day Memory Maker will include your photos from the entire day, even before the party starts! If you won’t be able to attend one of this year’s parties, you can use the PhotoPass ID COMEJOINTHEPARTY in your My Disney Experience account to get a unique bonus shot of some happy haunts! 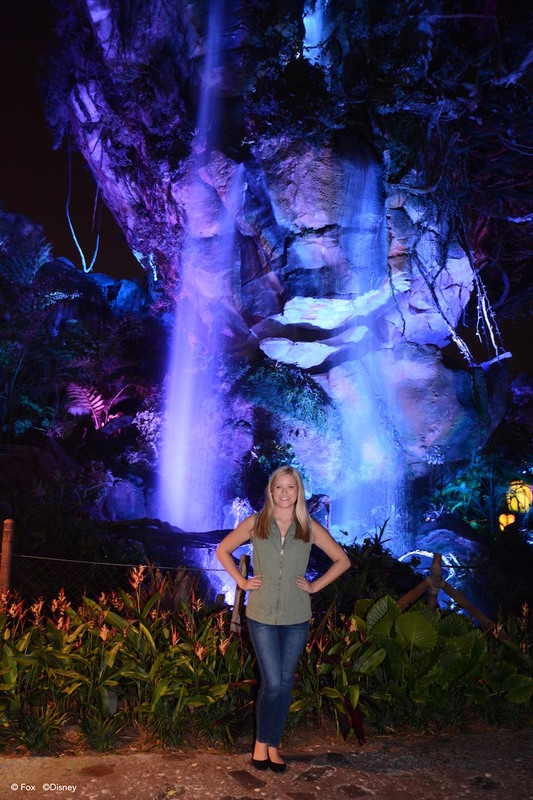 Siera is a travel agent with Destinations in Florida, an authorized Disney vacation planner. She would love to help you plan your next vacation at no cost to you. Request your free, no obligation quote on the right side of the page or email siera@destinationsinflorida.com for more information. 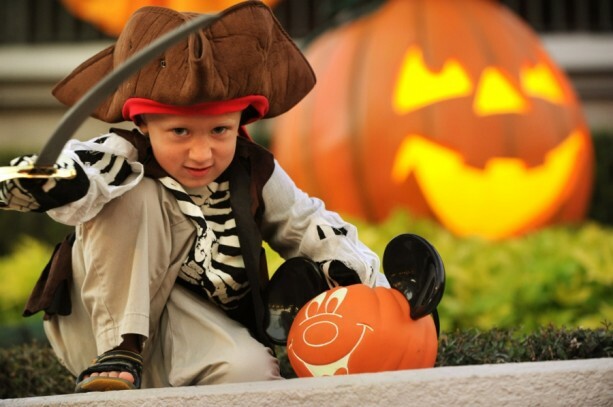 This entry was posted in Disney and tagged Memory Maker, Mickey's Not So Scary Halloween Party on October 28, 2014 by siera. 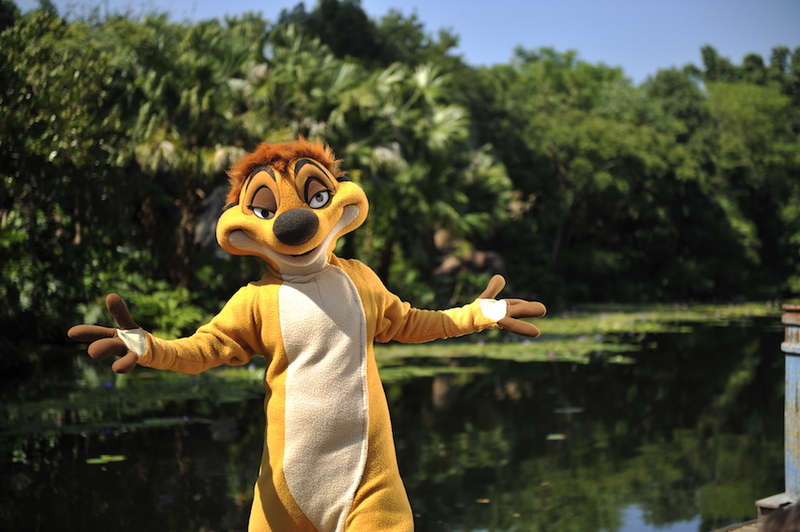 Disney has just released a new Disney World discount for Florida residents in summer 2014. 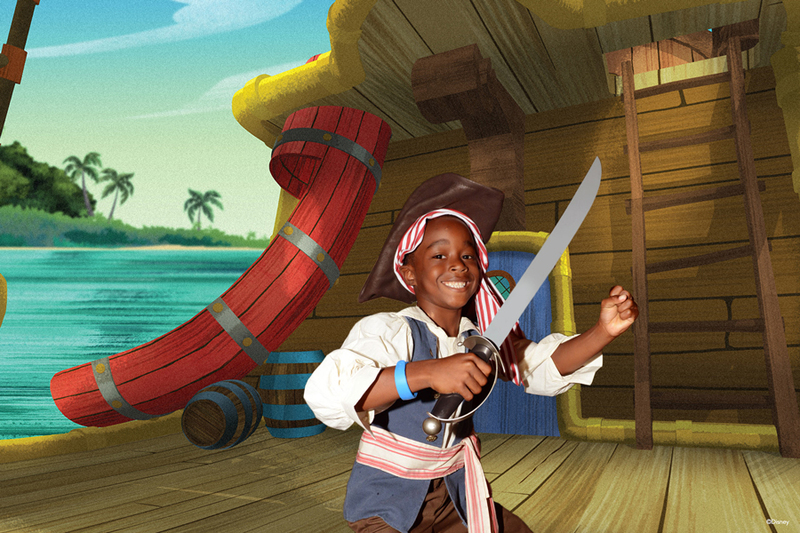 With your kids out of school, the summer is the perfect time of the year to experience all of the new and exciting attractions and experiences at the Walt Disney World Resort! 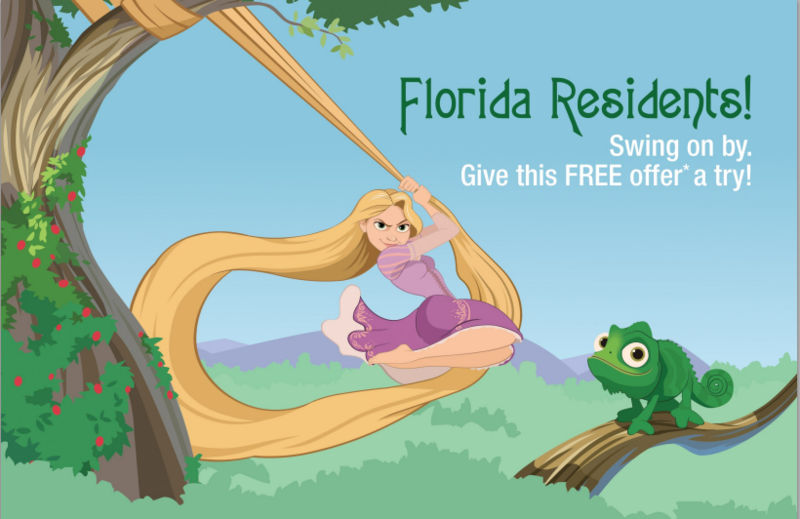 And this summer, Florida residents have a special discount, just for them! Florida Residents can save on a Magic Your Way® Package at select Walt Disney World® Resort hotels and receive a FREE Memory Maker with their stay! Memory Maker includes digital downloads of all of the photos from your vacation. 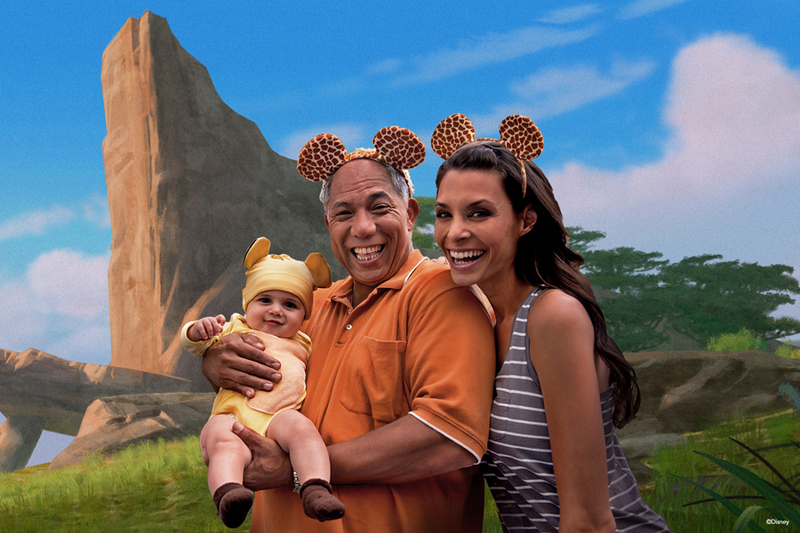 Best of all, Memory Maker allows the whole family to be in all of your pictures while Disney PhotoPass photographers capture your magical moments! 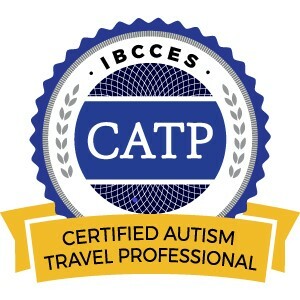 This Florida resident discount is available for travel between June 3 and August 2, 2014. Please note that this offer is subject to availability. This offer requires a minimum two-night stay and does exclude Disney’s Art of Animation Resort – The Little Mermaid standard rooms, Disney’s Port Orleans Resort French Quarter, Disney’s All-Star Movies Resort, Bay Lake Tower at Disney’s Contemporary Resort, Disney’s Fort Wilderness Resort & Campground – Campsites, 3-bedroom villas at all Resort hotels and Villas at Disney’s Grand Floridian Resort & Spa. Proof of Florida residency is required at check-in. Are you planning to take advantage of the new Disney World discount for Florida residents in summer 2014? This entry was posted in Disney and tagged Florida Residents, Memory Maker on April 24, 2014 by siera. A Walt Disney World vacation provides one-of-a-kind opportunities to spend more time with your family and create memories that will last a lifetime. 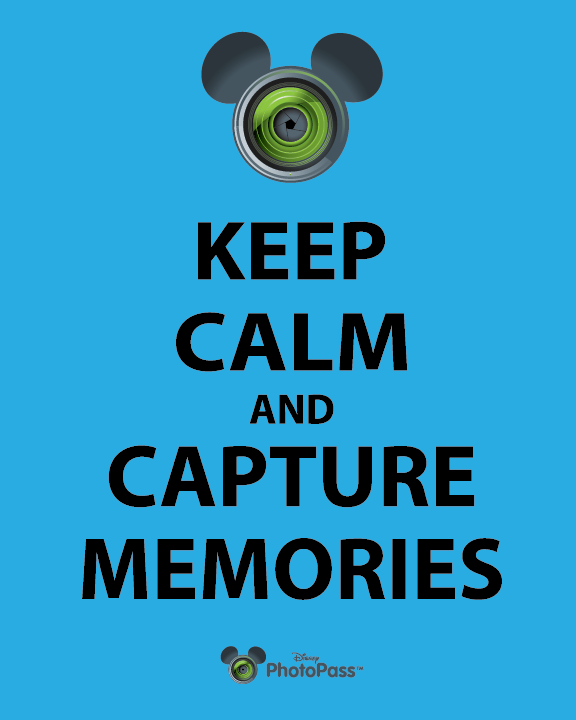 The new Memory Maker at Disney World allows you to capture all of those magical memories throughout your trip and then have the photos to re-live and remember your vacation for years to come. Whether you are planning a visit to the Walt Disney World Resort to experience your little one’s first magical dream come true, quality time with your family, a romantic getaway, or an unforgettable trip with your friends, Memory Maker is the perfect way to seize the moment and include everyone in your photographs. 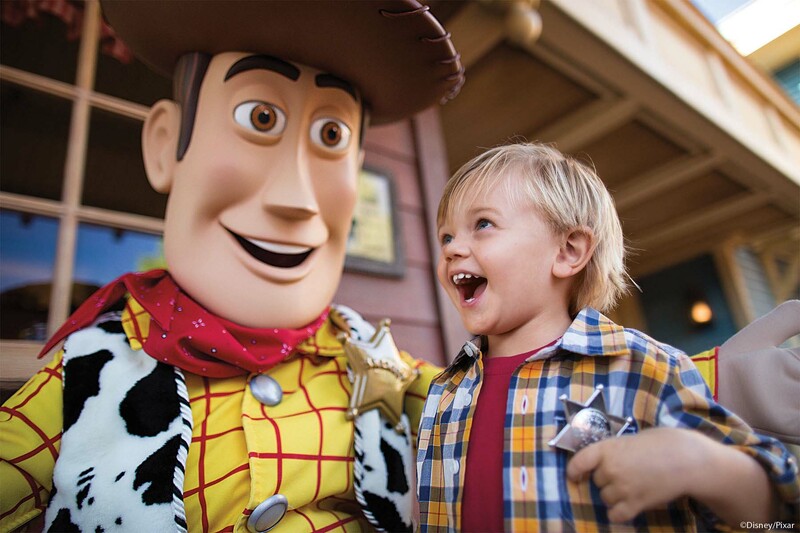 Disney has just released the first Disney World discount for fall 2014. You can now get Memory Maker for FREE when you purchase a minimum 3-night Magic Your Way package most nights April 27 through June 15, 2014 and August 15 through September 30, 2014. You can purchase this kid-size package for as little as $899 for a family of three between August 15 and September 30, 2014. This package includes your stay at one of Disney’s All-Star Resort hotels, including 3 nights in a standard room and a 2-day Magic Your Way base ticket as well as the FREE memory maker. This special offer for the free memory maker is available through April 20, 2014. However, this offer does exclude the campsites, 3-bedroom villas, Disney’s Port Orleans Resort – French Quarter, Disney’s Art of Animation Resort – The Little Mermaid Standard Rooms and The Villas at Disney’s Grand Floridian Resort & Spa. Don’t forget that continuous discount watching is one of the free services included when you book your vacation with me! I am always monitoring any new discounts that are released to make sure you get the best deal possible on your vacation! 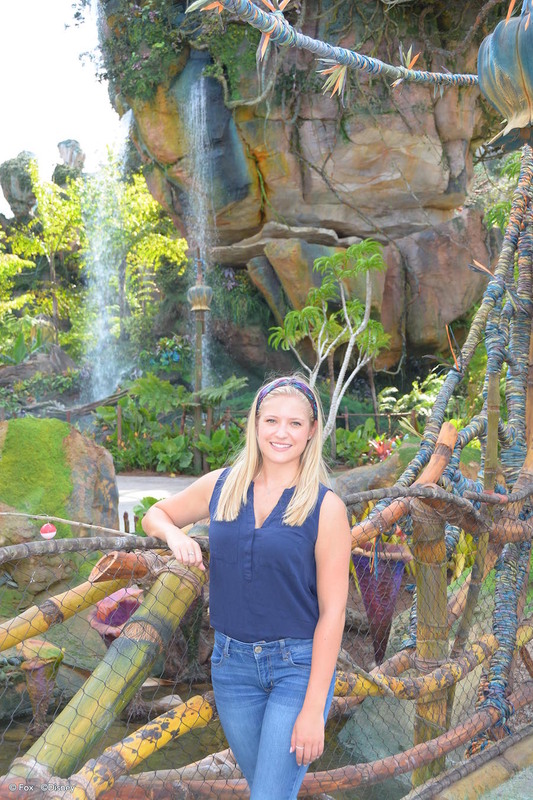 Siera is a Disney travel specialist who would love to help you plan your next vacation at no cost to you. Request your free, no obligation quote on the right side of the page or email siera@destinationsinflorida.com for more information. This entry was posted in Disney and tagged Disney World vacation packages, fall 2014 discount, Memory Maker on February 11, 2014 by siera. As part of Disney’s billion dollar MyMagic+ system, Disney’s PhotoPass+ has been replaced by Memory Maker at Disney World. 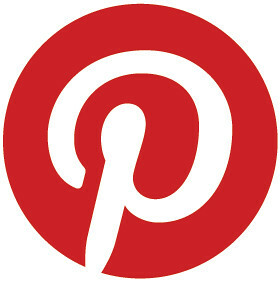 Imagine if your vacation’s magical moments were captured for you and available for digital download. 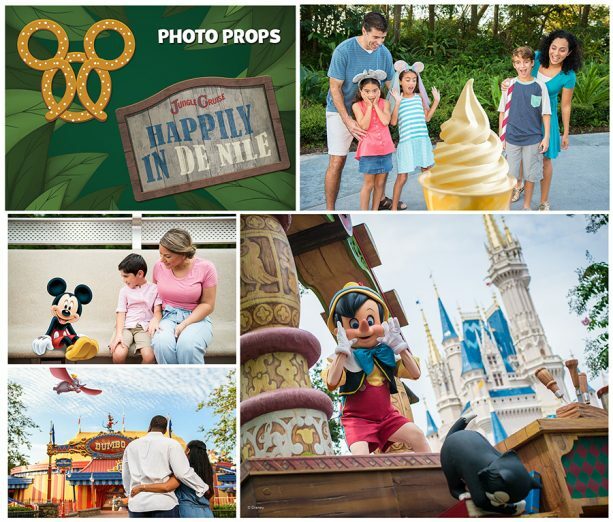 The Memory Maker product does just that, preserving those special moments for you so you can relax and simply enjoy the fun of being with your family and friends in the most magical place on Earth. It starts with the team of Disney PhotoPass Photographers who will preserve magical memories for your family at hundreds of photo locations throughout the Walt Disney World Resort. All those great shots are magically captured: posing in front of Cinderella Castle, screaming down Splash Mountain, enjoying breakfast at Chef Mickey’s with Mickey and the gang, and so much more. 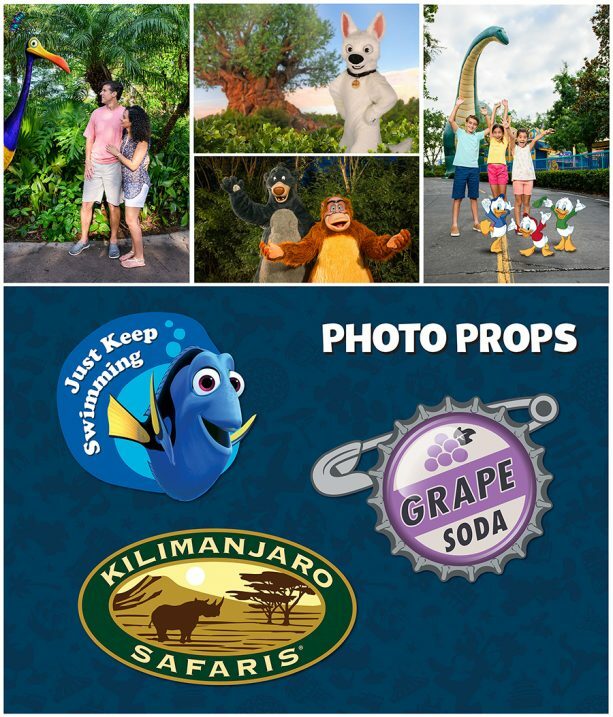 An unlimited array of the photos taken by Disney PhotoPass Photographers during your vacation, PLUS photos at select attractions and dining locations, will all be captured. Forget about having to purchase each photo individually – with Memory Maker you get digital copies of them all to download! You can relive all your memories and then share them with your family and friends. The advance purchase price for Memory Maker is $149. It may also be purchased for $199 at select Theme Park, Disney Resort hotel and Downtown Disney® area merchandise locations. With Memory Maker, there’s never been a better way to capture and relive magical memories of your Walt Disney World vacation. Siera is a Disney travel specialist and would love to help you plan your next Disney vacation at no cost to you. 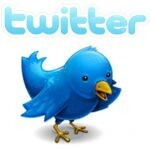 Request your free, no obligation quote on the right side of the page or email siera@destinationsinflorida.com. 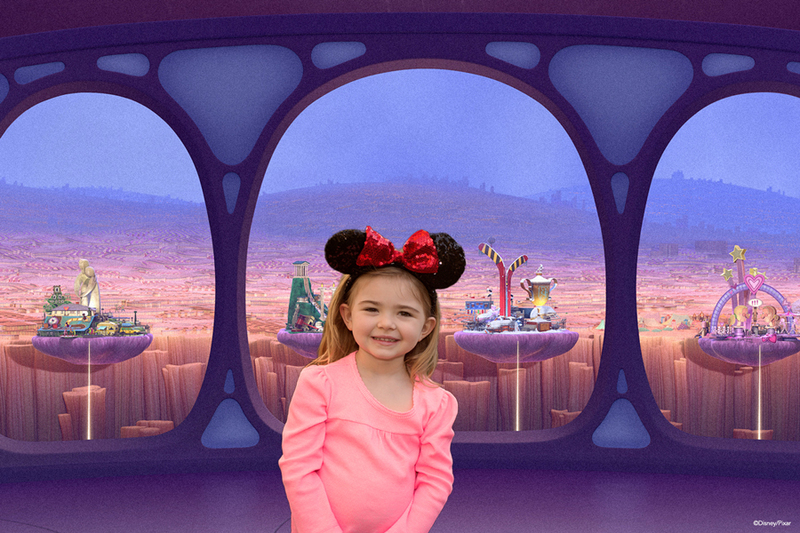 This entry was posted in Disney and tagged Memory Maker, Photo Pass Plus, PhotoPass on December 11, 2013 by siera.